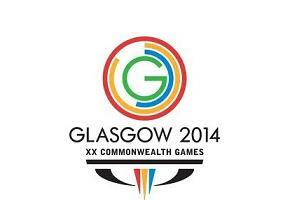 The Glasgow 2014 Commonwealth Games has opened a tender process to appoint an agency to manage travel planning, accommodation and booking management. The work for the Queen's Baton Relay division will include managing all travel elements of the event, across 71 Commonwealth nations and territories. The Queen’s Baton Relay was introduced at the British Empire and Commonwealth Games in Cardiff, Wales in 1958. The relay traditionally commences at Buckingham Palace, London, on Commonwealth Day, which will be 10 March in 2014, and will end at the Commonwealth Games Opening Ceremony on 23 July 2014. The two-year contract will culminate with this global tour, organising accommodation, air and land travel, and related events. The Baton will be accompanied by up to four staff members at any time. Valued at £446,000, the deadline for agencies to apply to the one-stage tender process is 16 November. A spokesperson for Glasgow 2014 said: "The Queen’s Baton Relay is the traditional curtain raiser to the Commonwealth Games. It will travel to all 71 nations and territories creating an unrivalled opportunity to promote Glasgow and Scotland, and to celebrate the passion and excitement of the sport and culture that lies ahead. "Glasgow 2014 is looking for a company with a successful track record to help deliver this exciting international prelude to the Games. The winning agency would help us identify best travel route options outside of Scotland to maximise the opportunities around this once in a lifetime event. "We hope to have the winning company in place to progress these plans by the beginning of 2013."